Still Here is the first solo exhibition of Ceren Oykut after she moved from her hometown Istanbul to Berlin on March 2017. The exhibition took shape in a one-year period of time as an installation in Apartment Project bringing together three different works she made in Istanbul and Berlin. Still Here tells us the story of a resident alien. 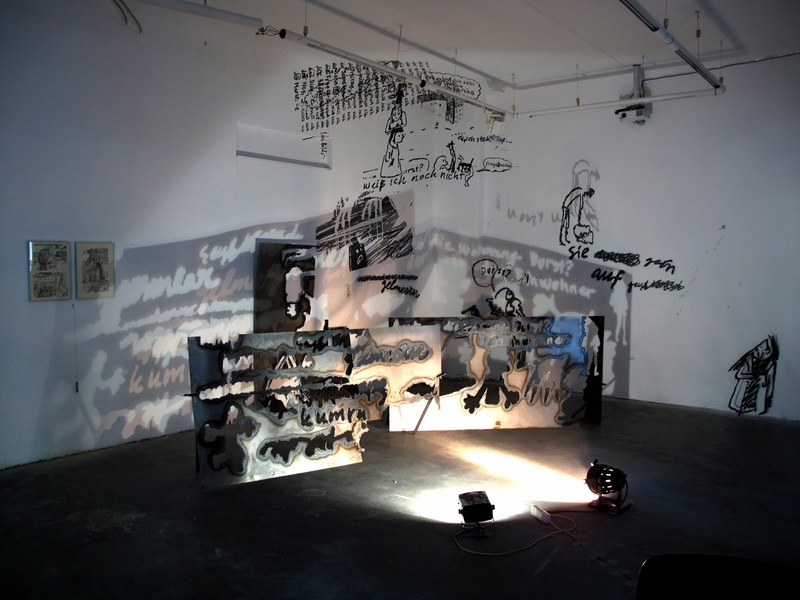 In fact, the chaotic process of Ceren Oykut’s migration can be observed in the body of her installation. 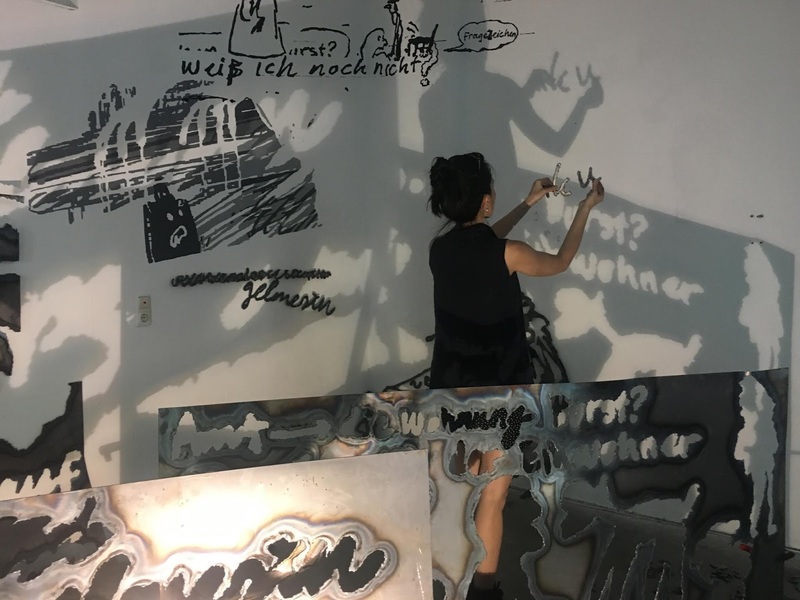 The first chapter of the exhibition reflects the struggle for existence in a new city, psychological transformation that Ceren Oykut has experienced with the shift from Istanbul to Berlin and first contacts with a new language. The starting point of this chapter was inspired by a notebook which Ceren Oykut was keeping while she was studying German. This notebook was her first workspace in the first months of her life in a new city, it was a container of handwritings, doodles and speech bubbles disabling the words, uncovering humor and irony. The notebook was meanwhile a recorder registering a contradiction: a process of adaptation and alienation. 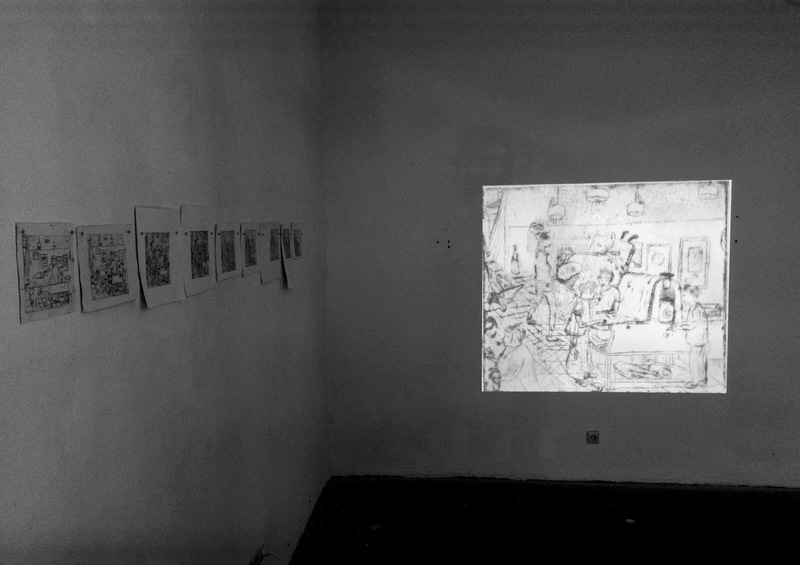 Oykut enlarged a collage made out of doodles/handwritings from her notebook onto the corner of walls and the ceiling of Apartment Project and transformed them into a large black and white wall painting radiating inside the exhibition space. Oykut, with this first work she have installed, like a web spun by a spider, constructed herself her first "home" in Berlin. 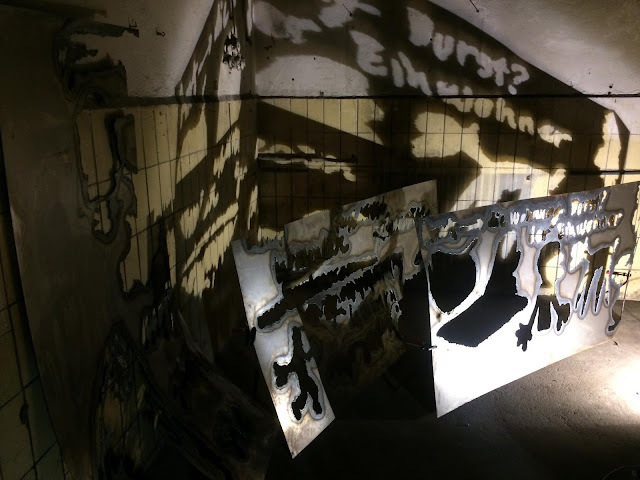 The wall painting titled Verrückt, became a part of a group exhibition “No Matter” in the Apartment Project on June 2017 and went on being active at that corner until the opening of the exhibition Still Here on May 2018. In the following months Oykut, at the metal studio Werkstatt44 in Berlin, started a completely different working process; she was cutting the enlarged doodles that she projected onto the steel panels. During which process doodles were gathering volume and weight while the steel panels were loosing weight and getting lighter. The three-dimensional addition uncovered contrasting elements like heaviness-lightness and dark-light. The carved steel panels were installed in front of the wall painting Verrücktin the Apartment Project. 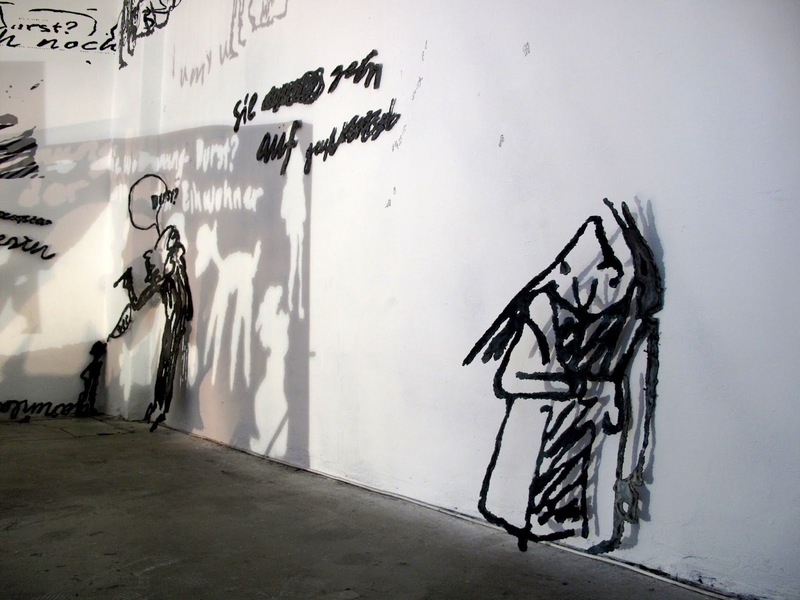 Oykut littered the iron handwritings and doodles around the space and created a visual cacophony. Eventually, the drawings, which were once attached on the notebook and than later on the walls, were released in the space. 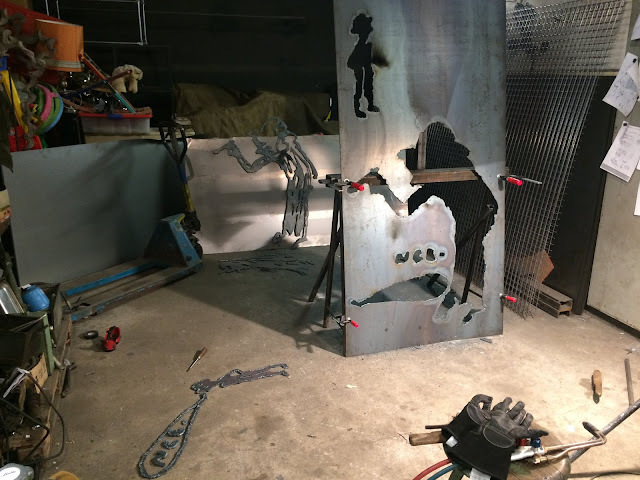 The process of struggle for existence appeared as metal artworks, which Oykut created in Berlin on 2018. 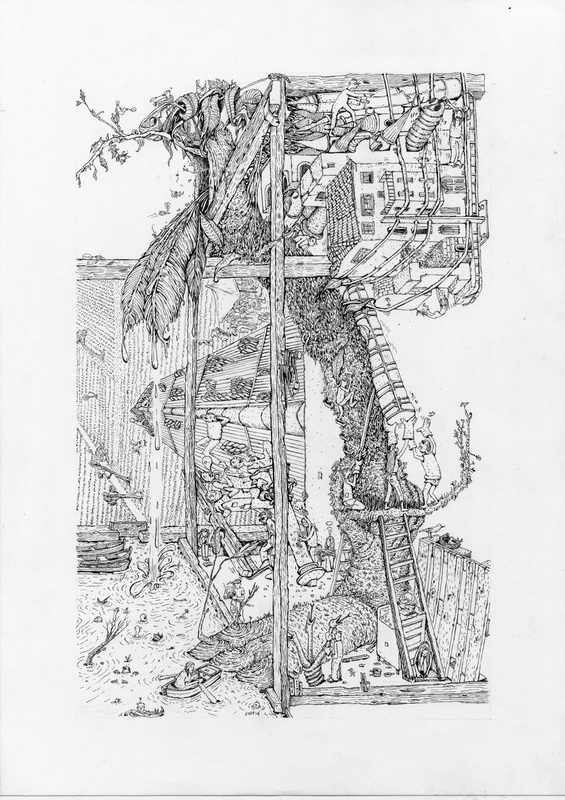 The second chapter of the exhibition is titled Drypoint and is undertaking an archival mission about a depressing agenda Oykut had experienced back in Istanbul. 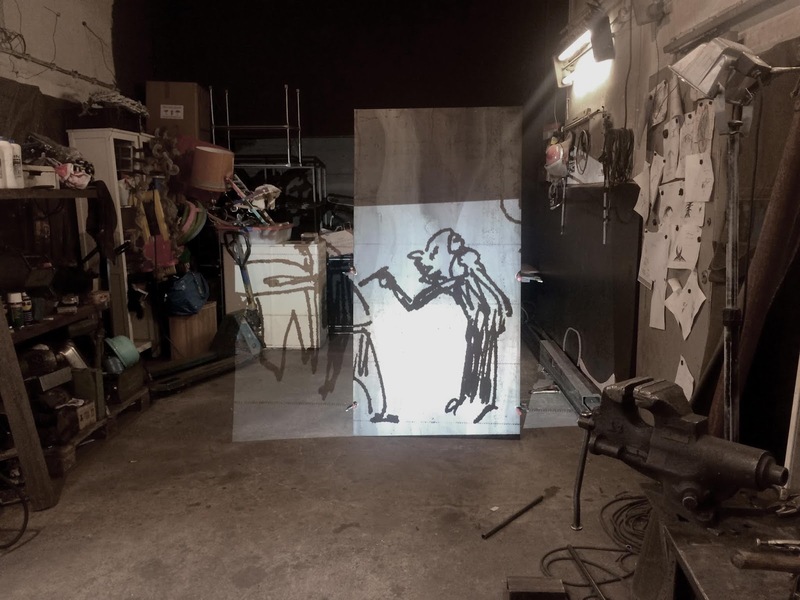 This chapter contains an animation video, a copper plate and nine engraving mono-prints, which are meant to be the frames of the short animation. 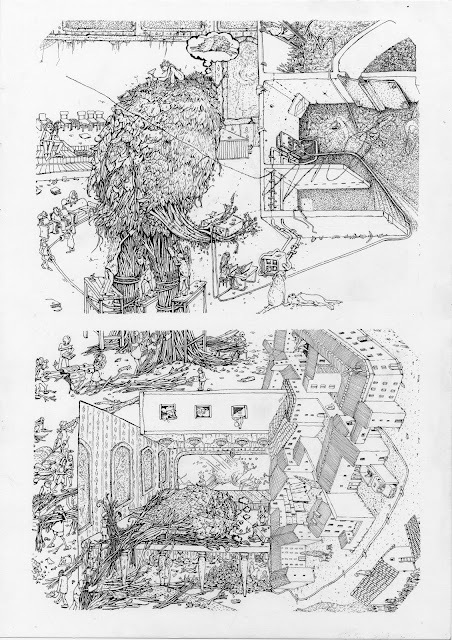 Oykut made those prints in the Gravure Studio of Mimar Sinan Fine Arts University in Istanbul on the summer of 2016, one year before she settled in Berlin. The production process of this work was spread over 7 months. At the beginning, Oykut simply started to carve the studio environment on a copper plate, after each print she have made, she was adding more stories on the same plate that she was working on. 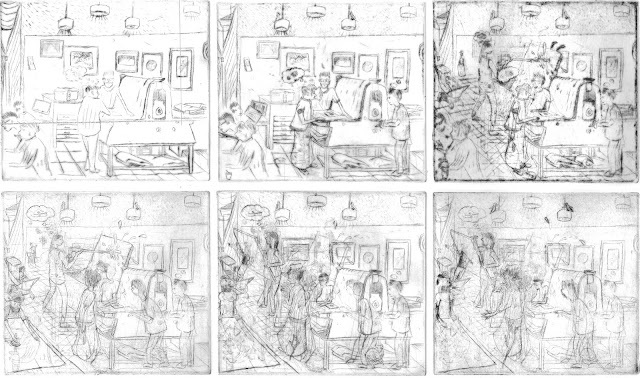 After finishing the second print in the series, she flied to Berlin for five days in mid-July. And while was was here, a coup d’etat happened back in Istanbul. When she got back in her hometown, she found everything changed: the people, the studio...This copper plate, which was located at a very critical location, witnessed everything what happened on July 15 in Istanbul and carried the memory of that period that Oykut could not have witnessed. It became the symbol of the events, for her. 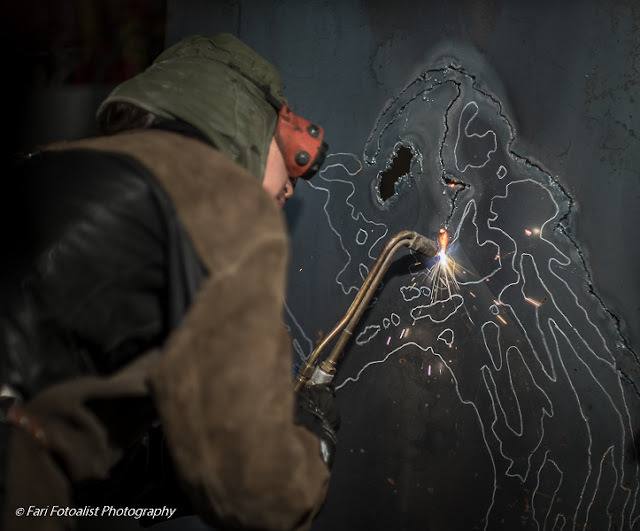 And she continued to work along with the memory recorded on the plate, carving the details from individual stories about what have happened that day in Istanbul. The third chapter of Still Here is about Ceren Oykut’s fantasies and projections for the future.This chapter contains two drawings on paper, which Oykut describes them as her utopia, a relaxed and efficient workplace with an environment that she could live in. She constructed these workspaces on a constant struggle, which renews itself, creates its own energy sources, recycles ideas split between two cities and also creating a bridge between them.